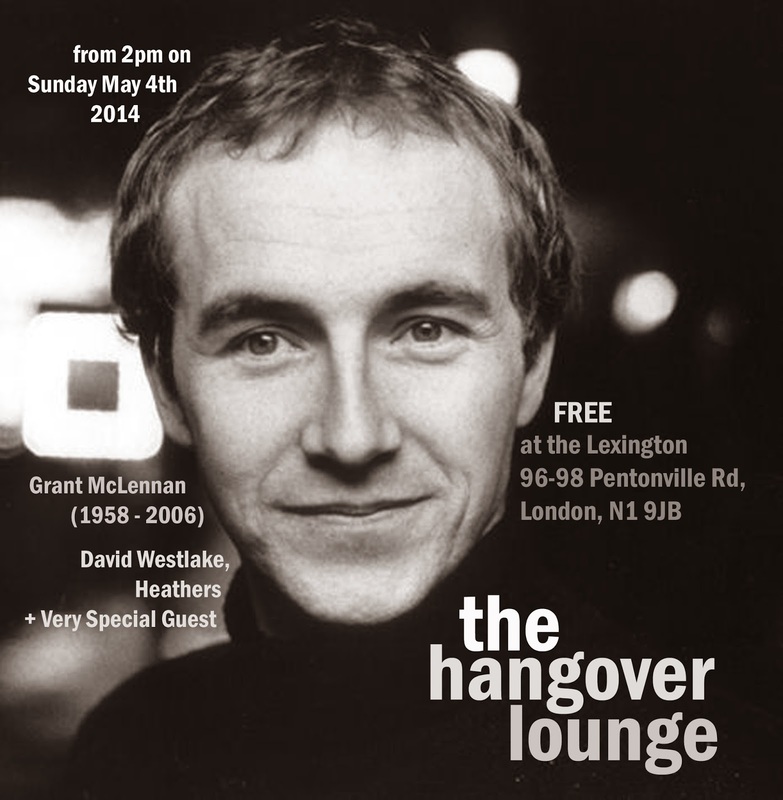 It's that time of year when we celebrate the work of one of our best-loved songwriters ever, Grant McLennan. Our fourth annual Grant McLennan gig stars David Westlake again, because it wouldn't be the same without him (you should listen to his radio session backed by Robert Forster, Amanda Brown and Robert Vickers). And you should know that The Servants' excellent Small Time/Hey Hey We're The Manques! is now on vinyl. Special mystery guest? Hmmm. My first thought was these guys, but the calendar tells me they're in Mexico that day. Not Franz Ferdinand, but I'd love them to do something one year. Let's see. Don't suppose you've heard owt about this Go-Betweens box set that's coming out on Domino. Who was the special guest, by the way? Oh, yes, that rings a bell. I'd dismissed it as ludicrous given the comprehensive Lo-Max double CD issues and there aren't any more unreleased or rare songs to mine. Luke Haines was the guest. Any chance any of these posters are available to purchase? There were never any McLennan posters. We've got some Hangover Lounge club posters, but that's all. A Sunday club (2-9pm) to hear the perfect music to calm your minds after a hard Saturday night's drinking and stave off the dread of the week ahead. That might mean vintage soul or reggae or folk or indiepop or psych, all pitched just so – come down for soothing sounds, Sunday dinner, chat, drinks and comedown. 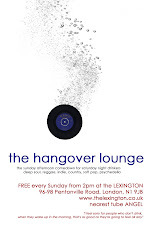 Every week at The Lexington, 96-98 Pentonville Road, London N1 9JB. Map and directions. Ugly Temporary Calendar - click through for more!